Beginning today, Association crews are replacing the bridge that connects the Glick Road parking lot with the pool, tennis courts and playground. This means that if you plan to visit the playground or tennis courts, you will not be able to access them from the Glick Road parking lot. The best alternate route is to use the pathway from Lerwick Drive, which will take you south to the tennis courts, then past the pool so you can access the playground. See map below. 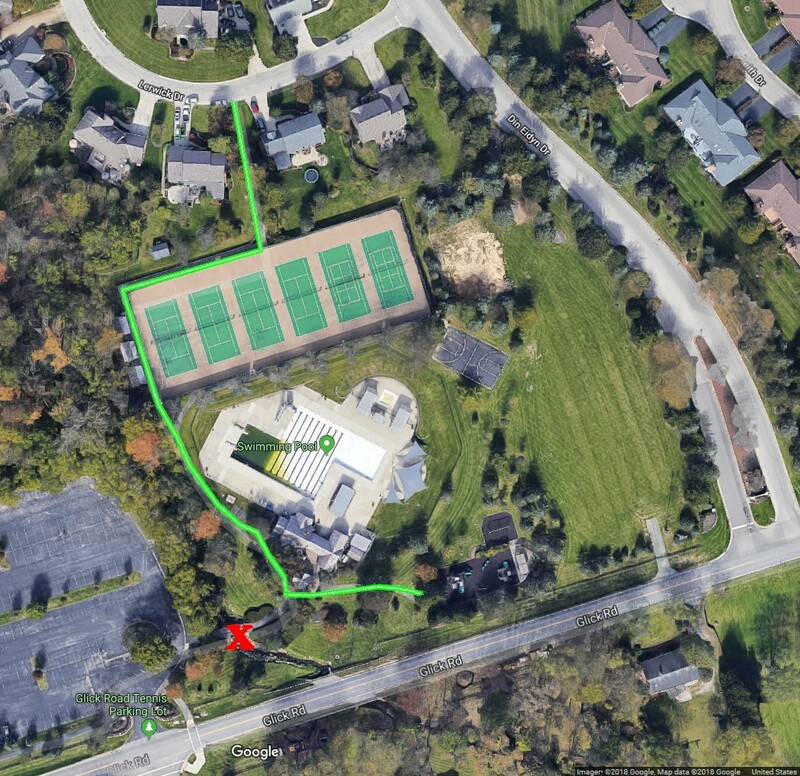 If you do not want to navigate this detour, you are welcome to visit the tennis courts and playground at 8372 Muirfield Drive (near the Holbrook pool). Work is expected to take at least two weeks and is weather dependent. We will send an update when the bridge is back open. Thank you for your patience and we apologize for any inconvenience. The suggested alternate route is indicated in green below. The red X indicates where the bridge will be removed and replaced. Click the photo or here for a full size image of this map.